While MWC is still alive and kicking with news, the GDC (Game Developers Conference) is also taking place down in San Francisco this week. Yesterday, Google took the stage to announce a few important things, specifically focused on in-app purchases, in-app advertising, and a new API which allows developers to turn your smartphone into an Android TV game controller. As for ads and IAPs, Google harped on creating better advertising experiences for players, while staying true to any app’s overall design and UI. With Native Ads, currently available as a limited beta, Google is giving developers the power to weave advertisements straight into a game’s design fabric. For an example, look at this photo. If you are familiar with in-app advertising, almost all of the time, an ad looks completely out of place, and does take away from the overall user experience. With Native Ads, Google hopes to solve that issue, allowing developers to customize an ad to fit in perfectly with whatever design scheme their utilizing. On the in-app purchase side of things, game players will need to be more aware of when they are being targeted by developers. 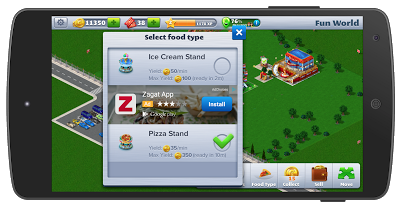 According to Google’s announcement, “AdMob can now predict which users are more likely to spend on in-app purchases, and developers will be able to show these users customized text or display ads promoting items for sale.” For this very reason, a certain player is bound to see more IAPs opportunities than others, if the developer plans to utilize this new feature, which is still in beta. 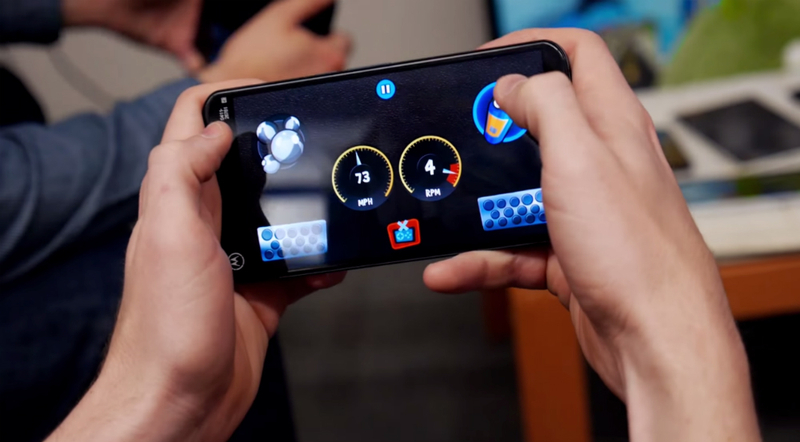 Back to the actual gamers, Google also introduced the Nearby Connections API, which allows developers to turn your smartphone into a game controller when synced to an Android TV. For example, if you and your buddies want to play a round of Beach Buggy Racing, but only have one game controller for your Nexus Player, your friends can simply sync to the Android TV, then use their smartphone as a racing controller. A video demoing this new API can be viewed below. To see the full list of info and announcements, follow the via link below to the Android Developers blog.